The '80s was a weird time for the automobile. Manufacturers, in their coke-fueled glory, were designing amazing cars that defied convention and set trends for decades to come. Out of the sea of potential Miami Vice runabouts were the ten best on eBay that you picked for this challenge, under an $8,000 budget. While European manufacturers were successfully experimenting with diesels and turbochargers at this stage, American cars still featured the same tried-and-true process of shoehorning a gigantic engine in the bay and waiting for people to come running when the thing turned on. This Firebird Formula is no exception. With low miles, this great survivor example is something that can start a modern classic car collection without also serving as a primer for the inevitable divorce. Do it before your spouse finds out how much those parts really cost. On one hand, this car was perhaps the worst Maserati ever made, with its carburated, twin turbocharged V6 (later replaced by a slightly better fuel injection system), providing all kinds of quirky unreliability and mechanical problems. But, on the other, it's the cheapest Maserati you can get today, and there are enough mods out there that you can potentially make this a daily driver, albeit one that would bring on a weird explanation when you tell the hotties at the club you drive a Maserati. For $8,000, you can buy a few and make one really good one. After all, it is a hand-made Italian turbocharged car from the '80s. What could go wrong? Nowadays, in order to say that you've made it, you'd have to drive something with an M or AMG badge on it and brag about how your online start-up just completed its third round of angel investing without actually having made a product yet. Back in the '80s, you drove a Mustang convertible to show your stockbroking yuppie friends that you work hard and play harder. This was pre-Vanilla Ice, so it was still cool to drive one without playing the part of a colossal douche. Fortunately, enough time has elapsed that you can enjoy the merits of owning a well-made 5.0 liter V8 with a top that disappears in nice weather without being compared to someone that destroys MTV sets in a fit of inexplicable rage. Remember the phrase "Outie 5000"? I do, because I grew up in an era full of idiots parroting whatever the people in moving pictures told them - not like the progressive, forwards thinking minds of today, clearly. Well, that ubiquitous phrase came from this cool little car. First, it came with a five-cylinder engine, one of the first odd-cylinder arrangements to ever make it to US soil in an automobile. While early Audis were plagued with problems, Audi sorted them out within the decade, and although the car isn't as desirable as some of the other cars on this list currently, it's Audi's first attempt at making something appealing for the US market, and seeing as they're one of the most popular luxury brands of today, I'd say they succeeded. When Audi was busy apologizing to people for their horrid quality control, Mercedes-Benz was having a tough time of selling newer cars to people because their old ones were just so damn reliable. This 300TD is a staple in third world countries to this day, a feat that exemplifies the insane durability and ease of repair that made these cars so freaking popular. This wagon can theoretically run on vegetable oil if you do a low-cost conversion, then you'd be able to run seriously cheap fuel in a seriously cheap car, forever. It doesn't get any better than that. Swivel headlight covers! Shark-gill vents! Porthole windows! Vinyl roof! Continental tire hump! Power everything, wood everywhere, shag carpeting on the DOORS. And it's MINT GREEN. There is nothing that says 1980s American luxury coupe like this car. This is it! When one thinks of a turbocharged Porsche, you think of a firebreathing 911 with the engine in the wrong place and its overwhelming desire and ability to take your life aided by the unforgiving laws of physics. But there is another. 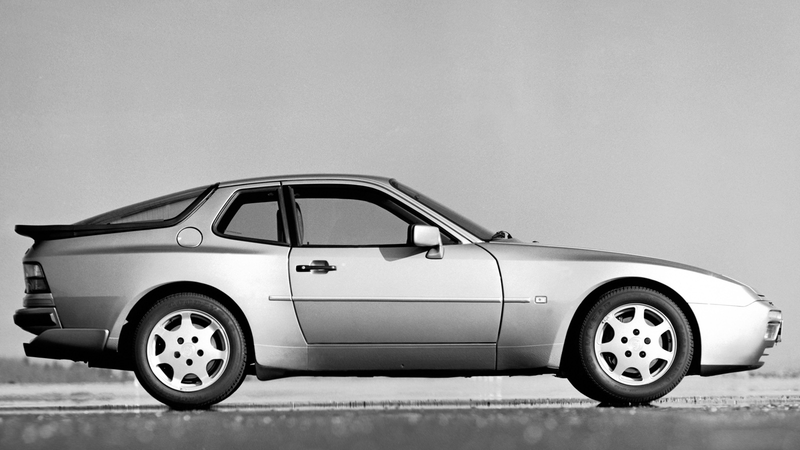 The 944 turbo was Porsche's pet project that combined a relatively large four cylinder engine with an equally large turbocharger to make an adequate amount of power, and fed that through a chassis that had 50/50 weight distribution, not to mention one hell of an awesome look. It's a modern classic that can out-perform nearly anything on the road today with some light breathing on its go-fast bits. Does anyone remember the Fiero? The mid-engined car made by America in the '80s that was little more than a running joke and a platform for kit cars around the world? This Toyota MR2 is what that car aspired to be. The cars had no major faults, were dead reliable, and their supercharged engines were the rev-happy powerplants you needed in a time when smaller, forced-induction engines trumped larger naturally aspirated lumps. It also had a look straight from a David Bowie video, so that helped in the nostalgia factor. After the bloat of the 260 and 280z cars, Nissan decided to make a turbocharged version of a larger 3.0 liter engine, and have that as their top-of-the-line sports car. As it turns out, that works beautifully. This car is missing the featured turbo, but it's still a well-sorted and balanced car, checking all the boxes for what you'd want in a peppy, manual sports cruiser with the most '80s option of any car worth its weight in nose candy - T-tops. Buy it because blue on blue isn't something we see in regular cars anymore. These cars are seriously underrated. While its archenemy the BMW E30 M3 rose in value in recent years, the market for these awesome Mercedes 190 2.3-16s simply stagnated, even though they're every bit the car that the E30 M3 was. They will go up in value, as soon as people realize how utterly fantastic they can truly be. Buy it as an investment, buy it as a daily driver, or buy it because it's a sporty Mercedes with three pedals, the likes of which we will never, ever see again.